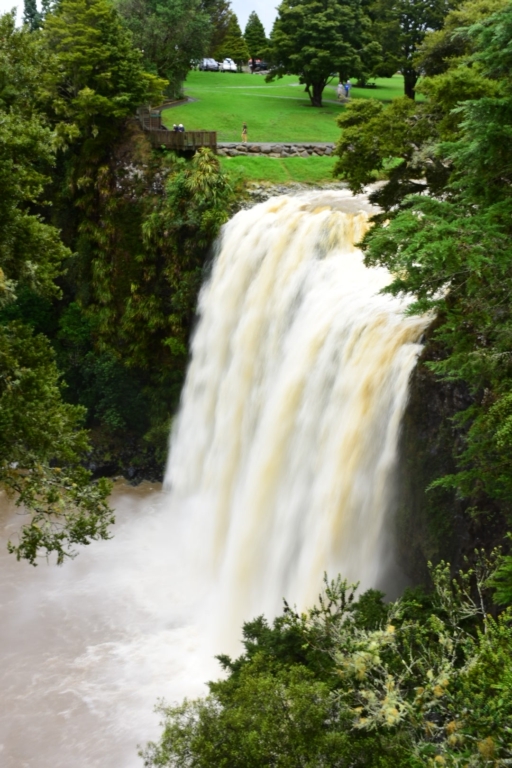 During our last tour of New Zealand we hardly saw any waterfalls apart from the ones in Milford Sound. We sure are making up for it this trip. So far we’ve seen three really impressive ones – Whangarai Falls, Rainbow Falls in Kerikeri, and Haruru Falls near Paihia. We’ve been pretty lucky​ for viewing as we are touring just after the remnants of Cyclone Debbie passed through. 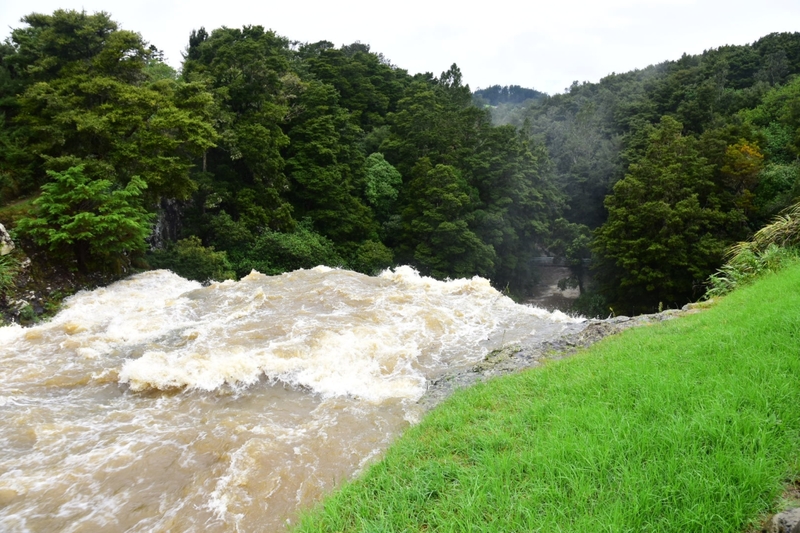 This has badly affected some areas in New Zealand, but has filled the rivers up. 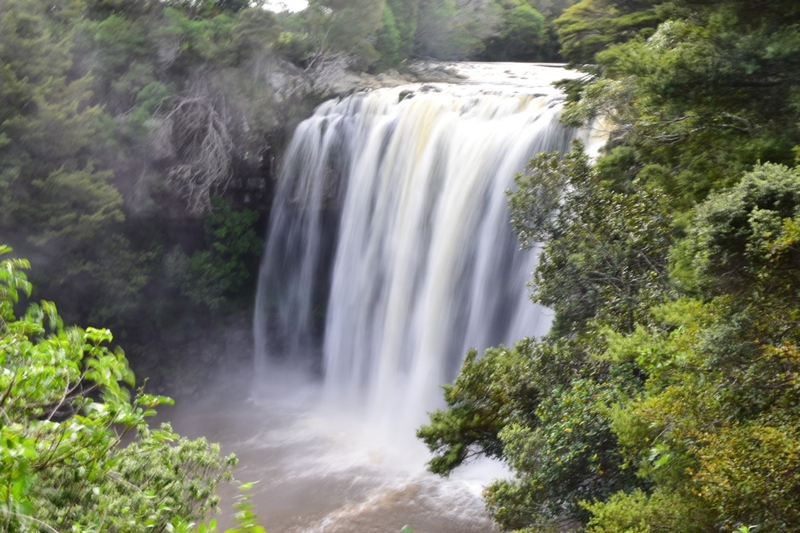 It would be pretty hard to pick a favourite waterfall so far. All are quite different and appeal in different ways. We started the morning with a last look at Lake Taupo, because I liked it so much. Then we spent the rest of the morning in the Wairakei park area, just North of Taupo. We accidentally came across Wairakei geothermal power station but it was really interesting! Honestly! Then a real spectacle just for the tourists . . . Three times a day, the flood gates of the Aratiatia dam are opened for 15 minutes to enable a huge torrent of ice blue/white water to cascade and thunder through the incredibly narrow Aratiatia gorge and rapids. The purpose? To entertain the tourists. Was it worth going to watch? Absolutely. Not that many tourists were there but we were all enthralled by the spectacle. Then onto Rotorua, just over an hour’s drive away. First impressions of Rotorua: SMELLY (sulphur); wide tree-lined avenues; quite large, a major tourist centre; a bit mad! ; geothermally produced plumes of hot steam everywhere; fantastic sunsets over the lake and lots of black swans; and for the first time a few mad drivers. 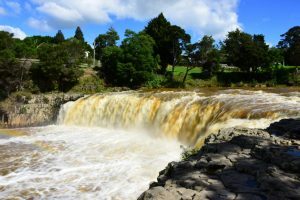 After booking into our cheap and cheerful (the staff were fantastic) motel, with a huge, rather mad, outdoor, concrete geothermally heated spa bath, we decided to explore the Tarawera area. But first we went to the Blue and Green lakes, or more accurately the Blue Lake and the bluey/green Lake. I didn’t think that the colours were that different although they were both beautiful. The green lake is sacred to the Maori so all water based activity is in the blue lake only. 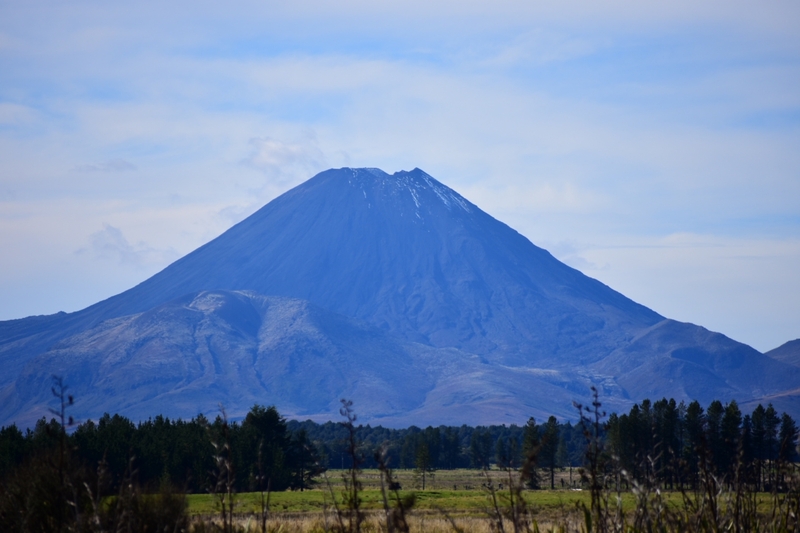 Mount Tarawera is volcanic and erupted in 1886 burying a Maori village and killing over 100 people. It also destroyed the world famous pink and white terraces (layers of silica on the edge of the lake). 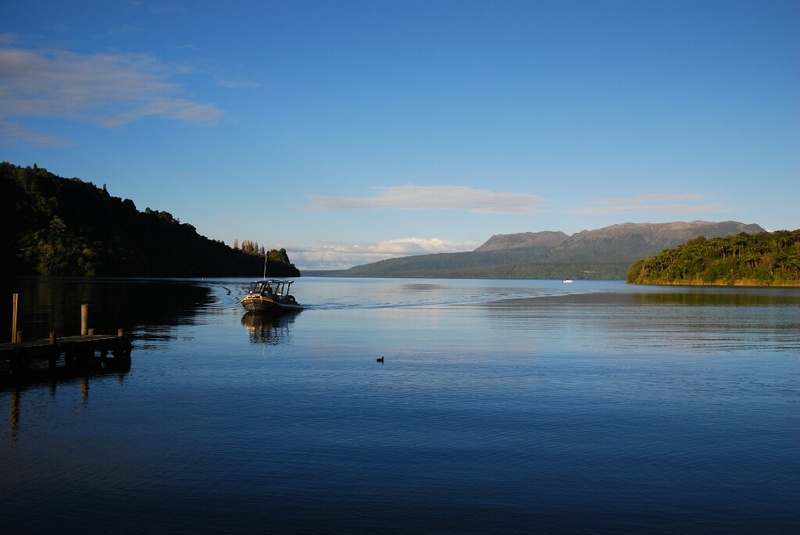 In comparison tonight Lake Tarawera was incredibly serene and calm. Paul took some stunning photos. One of Lake Tarawera is at the top of this post. And yes we did end the evening in the geothermally heated concrete outdoor spa bath! Hopefully our photo highlights are publicly available here – https://www.flickr.com/photos/paul-south-wales with the most recent first.